This guide contains a detailed approach for healthcare providers to understand healthcare disparities affecting LGBT populations and how they can create welcoming clinical environments for LGBT patients. 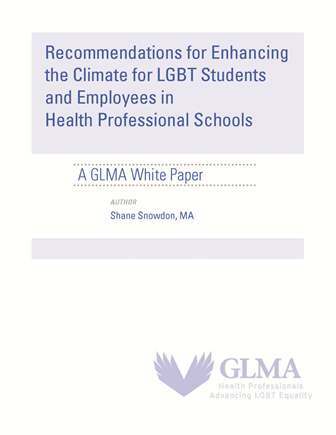 GLMA’s White Paper is a comprehensive set of recommendations—authored by Shane Snowdon—that offer resources for making health professional schools more equitable, inclusive and welcoming from an LGBT standpoint. 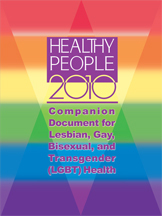 Developed in 2001 as part of the U.S. Department of Health and Human Services’ Healthy People 2010 strategic planning process, The Healthy People 2010 Companion Document for LGBT Health provides a context for educating all possible readers about LGBT health disparities and for addressing systemic challenges that must be overcome to address the healthcare needs of the LGBT population. 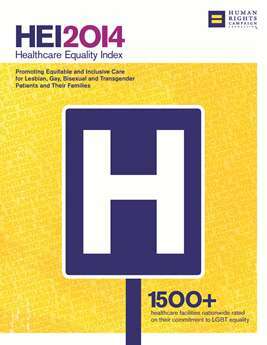 GLMA is an endorsing partner of the Human Rights Campaign Foundation’s Healthcare Equality Index (HEI). The HEI is the national LGBT benchmarking tool that evaluates healthcare facilities’ policies and practices related to the equity and inclusion of their LGBT patients, visitors and employees. Click here for more information. This document summarizes research about how the health and well-being of LGBT people and their families is negatively affected by the denial of their right to marry. Click here for more information about GLMA’s Marriage Equality Initiative. 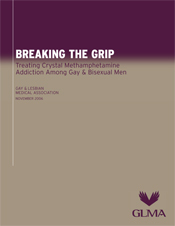 This report provides balanced information about the consequences and treatment of methamphetamine use among gay men. This report discusses health disparities affecting LGBT populations, and the role of stigma and discrimination in causing these health disparities.